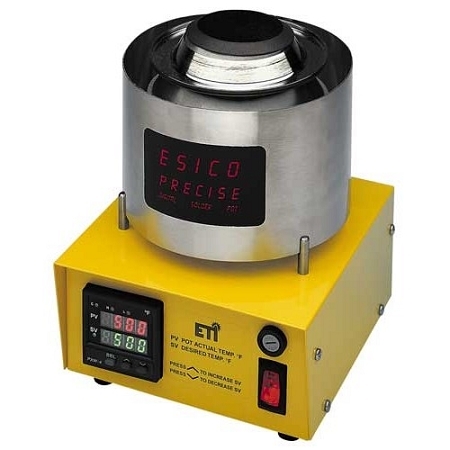 PD24 is a high temperature soldering pot. With a max. temperature of 1100 deg. And 250w of power PD24 is sure to please. The inner diameter of the crucible is 2", with a depth of 1 1/2". This unit is ideal for working on small parts, magnet wire, wire leads and more. Also available is the porcelain crucible (PD24LF) for lead Free applications.